Which states have passed, have not passed and will not pass enabling legislation to include K-12 tuition as a 529 qualified expense for state tax purposes? On December 22, 2017, the president signed the Tax Cuts and Jobs Act (H.R. 1). Among the act’s sweeping changes were a number of consequences for the college savings plan market. The most significant change to college financial planning came from the expansion of 529 qualified expenses at the federal tax level to include tuition for K-12 (excluding homeschooling). Qualified expenses from 529 plans can include tuition up to $10,000 per year per beneficiary for elementary or secondary schools (including K-12 public, private or religious). While 529s have been the premier college savings vehicle, this change serves to open up the market dramatically. Investors will not only be able to use 529 plans in a wider variety of circumstances, but the change can serve to attract more individuals to 529s. It encourages savers to start earlier, helping shore up future accumulations, while encouraging more investors to open 529 accounts in the first place. As promising as this development is, state legislators needed to, or will need to, take steps to resolve uncertainty from the discrepancy between past and current legislation as state legislation does necessarily follow federal legislation. The status board below provides a current update on which states have passed and have not passed enabling legislation to include K-12 tuition as a 529 qualified expense for state tax purposes. This is important as non-passage might make the 529 withdrawal for K-12 tuition to be considered a non-qualified distribution subject to state tax recapture of any state income tax deduction previously taken. Also, please note that the status board below provides a list of states as opposed to 529 plans as the state tax treatment of any withdrawal is determined by the account owner’s state of residence, not which 529 plan they participate in. Based on public information from legislation, public announcements, 529 plan providers, state agencies and plan disclosure statements and amendments, the following provides a list of states that have and have not passed enabling legislation, and the list will be updated going forward as news is received from their various sources. To help keep track of when the last update took place, the “last updated” date will be reported below the list of states. 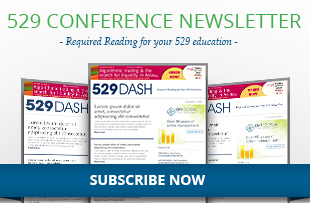 Also, please contact the editor of the 529 Dash e-newsletter and 529 Insider website with any suggested updates to the list. Editor’s Final Note: One should consult a qualified tax specialist regarding their individual situation before making a withdrawal for K-12 tuition and before making a contribution which they intend to use for K-12 tuition. Also, we suggest that you contact your 529 plan provider, review your 529 plan provider’s website and read your 529 plan’s disclosure statements for announcements related to this update. Thank you for your feedback and suggestion to write this summary, and we will continue to track and write about these types of legislative updates going forward. In the meantime, have the college financial planning discussion with your clients today.